Among the first installation steps in setting up System Centre Configuration Manager (SCCM) is the “Update Prerequisite Components”. Often we do not have access to internet from the host we are setting up SCCM or the internet download speed is throttled. In this case, you can use any windows system (server or desktop) which is experiencing moderately fast internet link to download the required update components. 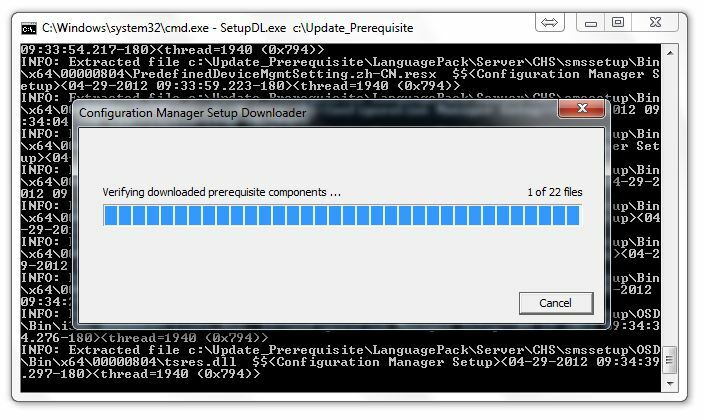 In the previous version SCCM 2007, we use the command Setup.exe /downloads <target dir> to download the update prerequisite components. But in SCCM 2012 the command got modified, you should use SetupDL.exe <target dir> to download the update prerequisite components. The SetupDL.exe file is located in the SMSSETUP\BIN\X64 directory of your SCCM 2012 installation media. 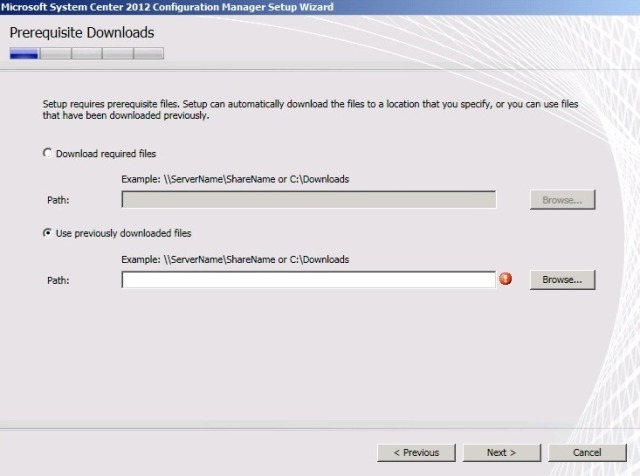 Once the update components download is completed, you may either provide an approachable network path to the location or copy the “Update Prerequisite Components” to SCCM server and point installation wizard to the copied folder. Click next to proceed with the installation wizard.